Your dental health involves more than brushing twice a day. There are a number of conditions and problems that you need to look out for, many of which occur in an otherwise healthy mouth. Pericoronitis can be a concern during your late teens and early twenties, when your wisdom teeth come through. It’s a potentially serious condition that can cause long and short term problems for your oral health. That’s why we’ve created this quick guide to this condition, so you can spot it while it’s still easy to treat. Wisdom teeth usually appear in your late teens or early twenties. They’re the third and final set of molars and grow at the very back of the mouth. Often there isn’t room for these teeth, and they have to be removed before they push out other teeth or grow down into your jaw bone. But when there is room for these teeth, sometimes they can cause a problem called pericoronitis. Pericoronitis is an infection in the gums around the wisdom teeth and it usually causes pain, swelling and discomfort. People’s wisdom teeth grow late in life, and by the time they come through there usually isn’t enough room for them. This means that the teeth can’t grow cleanly through the gum. Instead, they partially erupt from the gum and get stuck, leaving gaps and holes in the gum. When food or plaque gets into the gaps, it usually ends up getting infected, which can lead to pericoronitis. This can be a serious condition, as the infection will often cause pain and swelling all through the mouth as well as in the face and throat. 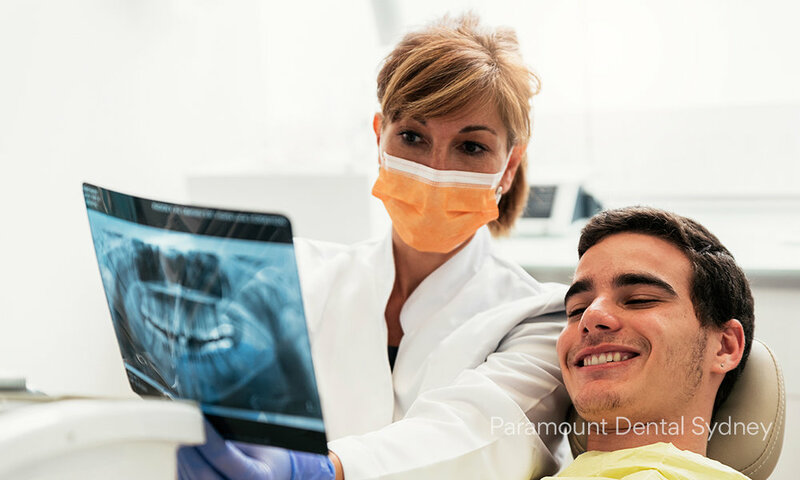 For professional and individual dental care, make an appointment with our helpful staff here at Paramount Dental Sydney. We’ll help your smile look and feel the best it can be.